The blissful South of France, or la Cote d’Azur, makes a grand setting for a very special party, romantic wedding or chic corporate event. When you think of this location you picture endless blue skies over the peaceful Mediterranean, the scene glamourous and serene. Or so you would expect, right? Not so last Saturday night when we were there for a private party. Picture instead a tumultuous storm, wind, thunder and lightning and more rain in two hours than should fall in two months. 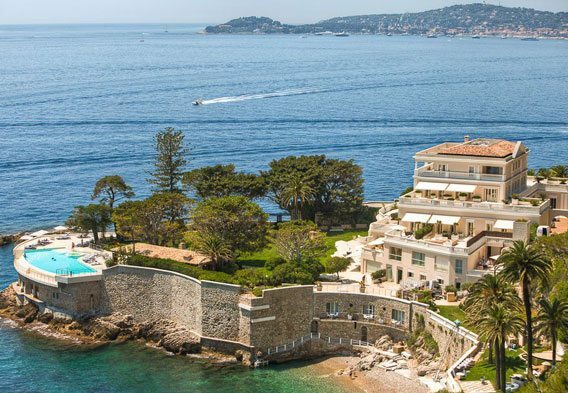 The exquisite Le Cap Estel Hotel was a breathtaking backdrop and then became a wonderful last minute venue. Just as well, as the marquee erected on the lawn especially for the event collapsed, due to the heavy rain. Wonderful, attentive staff continued their service, albeit in last minute arrangements and surroundings. Glamorous guests clamoured to ensure the man of the moment was still having a great time, regardless of the weather. The host, with the most, was still treating his friends and family to luxury and laughter, just having to improvise as he went along due to the nature of the situation. Ah, the show must go on. At Incognito Artists, this is something we know all about. Whether it’s wedding entertainment, party entertainment, corporate entertainment or stadium events, it’s our responsibility and passion to guarantee the show not only goes on, but is awesome! No matter what. The four of us, one Tenor and three Divas, performing that night were faced with no microphones, no sound equipment, no music, no nothing, due to the elements and lack of electricity. So we relied on talent, experience, instinct and years of honed skills to sing acapella and whip that room up into a frenzy of fun and community. Sometimes it’s the most challenging of circumstances in life that produce the real gold. For all the right reasons, for the fellowship, attitude, atmosphere, luxury and laughter: we’ll never forget it.